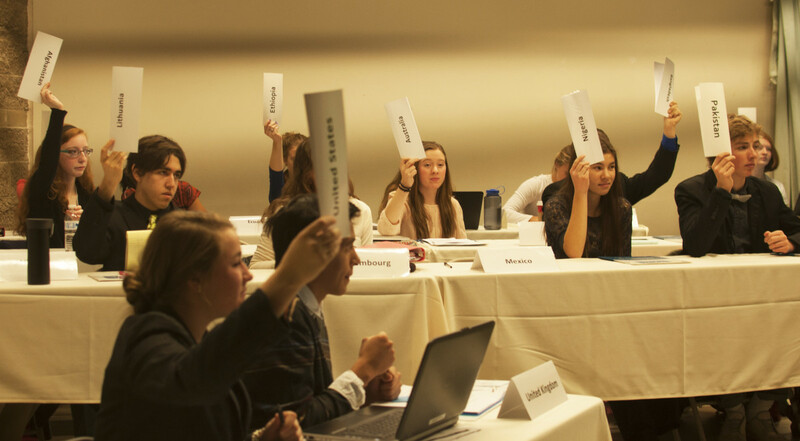 200 students converged on Jackson Hole High School for the 10th annual Teton County Model UN (TCMUN) conference on November 16-17. Over the past 10 years we have had 1,478 student registrations, with some students participating more than one year. InterConnections, under the leadership of its founder, Susie Rauch, launched this program 10 years ago with only 3 schools (Jackson Hole High School, Jackson Hole Community School, and Journeys School of Teton Science Schools), and only 72 students. In the decade since the conference’s inception, the number of schools participating is now 11, with up to 223 students at a single conference. 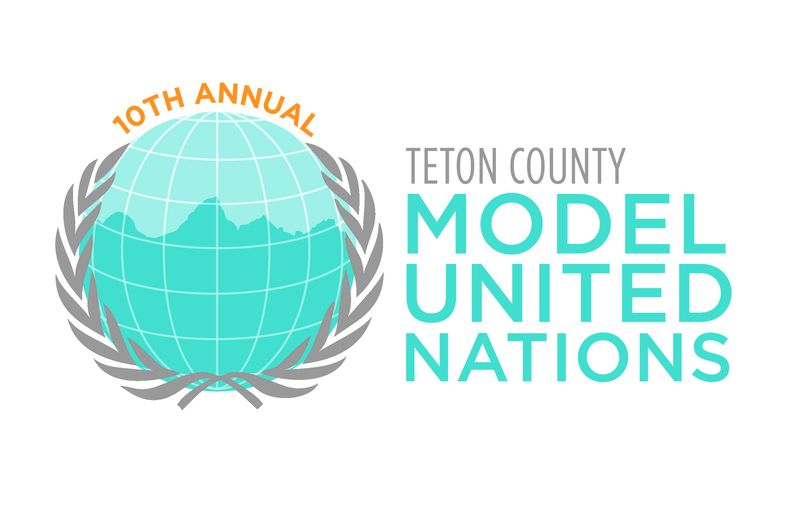 On Sunday, November 15, IC 21 welcomed the 2015 Teton Model United Nations keynote speaker, Trevor Houser, to a packed house at the Jackson Hole Community School. Mr. Houser is a former Jackson resident and is currently a partner with the Rhodium Group and leads the firm’s energy and natural resources work. He is also a visiting fellow at the Peterson Institute for International Economics in Washington, an adjunct lecturer at the City College of New York, and a visiting fellow at the school’s Colin Powell Center for Policy Studies. Mr. Houser spoke and took questions about “Climate Change Negotiations and the Prospects for a Global Deal in Paris.” He delivered a rousing lecture on what we could anticipate coming out of the Paris climate talks, which took place in December of 2015, and discussed his unique path to becoming an expert in his field of environmental policy. The question-and-answer period proved quite interesting as he fielded thoughtful questions from many of the TCMUN participants and community members alike. The discussion concluded with an exploration of the possible outcomes for Wyoming after the Paris climate talks, given Wyoming’s large coal and oil industries. As a small, grassroots organization, we appreciate donations of all kinds. In particular, we are always looking for volunteer time, frequent flyer miles, and cash donations. All donations are tax-deductible to the full extent allowed by law. Donations are accepted online via Paypal or checks can be made out to InterConnections 21 and sent to: PO Box 4399, Jackson, WY 83001.